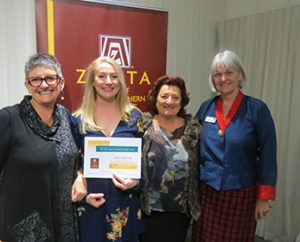 Lucy Bohan became Zonta Perth Northern Suburbs second club president in 1982. Lucy started nursing in 1948, rising to Director of WA’s General nursing services. She retired in 1986 and passed away in 1990.